As one of the original thirteen colonies in America, Pennsylvania has a long history of firsts for our nation. For example, as many folks know, both the Declaration of Independence and the Articles of Confederation were signed in our commonwealth, and the American Constitution was drafted here. However, what many Pennsylvanians may not realize is that Thanksgiving was first proclaimed in my hometown of York, Pennsylvania. Today, as Americans and Pennsylvanians, we continue to hold our independence as one of our proudest values, and we continue to work towards peace in our homes, communities, schools, workplaces, state, and nation. It is as true today as it was in 1777 that we are grateful for these American principles. This year, Frances and I are thankful for the opportunity granted to us by Pennsylvania’s voters to lead our state into a bright, successful future. My administration remains committed to upholding the principles for which our founding fathers fought and said thanks in our commonwealth almost 250 years ago. 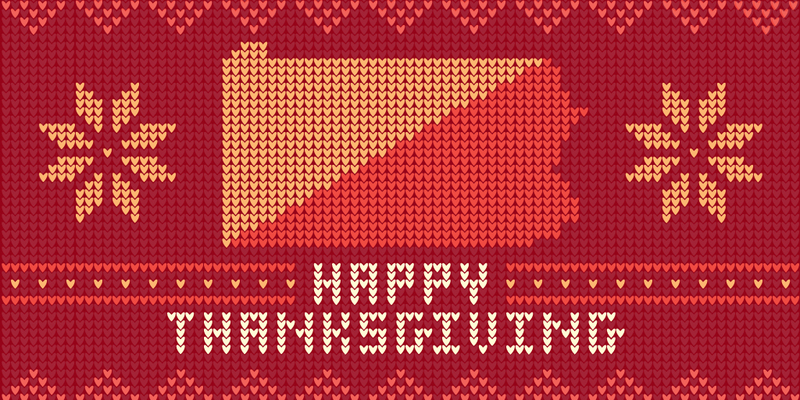 Today, I’d like to wish all of the people of Pennsylvania a happy and healthy Thanksgiving. To read Governor Wolf’s Thanksgiving Day proclamation, click here.